PLEASE NOTE THAT REGISTRATION FOR THIS EXAMINATION IS REQUIRED ON OR BEFORE APRIL 6, 2019 AND THERE ARE NO REFUNDS OR RESCHEDULING AFTER THAT DATE. 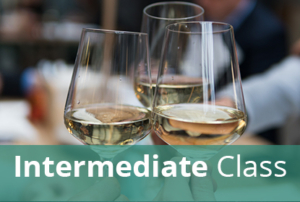 Please note that you must have taken the WSET Level 4 Diploma, Unit #2 exam before registering for this, or any other, unit. All Diploma candidates must pass both a case study examination and a coursework assignment in order to pass Unit #1. Please note that this registration is ONLY for the case study examination on June 12, 2019. To view the exam topic or to register for a coursework assignment, please click here to return to the Unit #1 landing page.